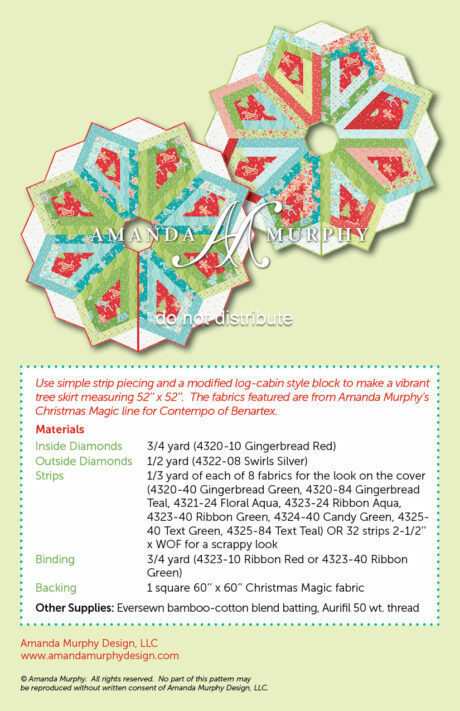 A 2-1/2’’ strip-friendly design celebrating the magic of the season, from Amanda Murphy Design. 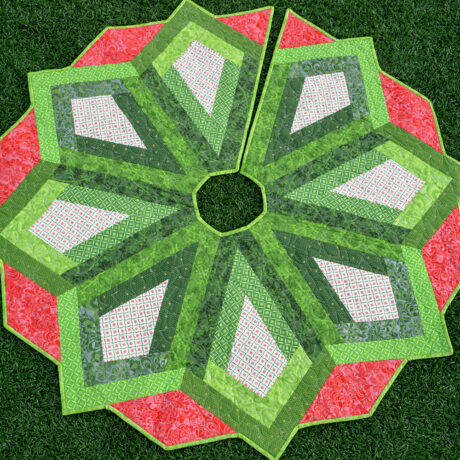 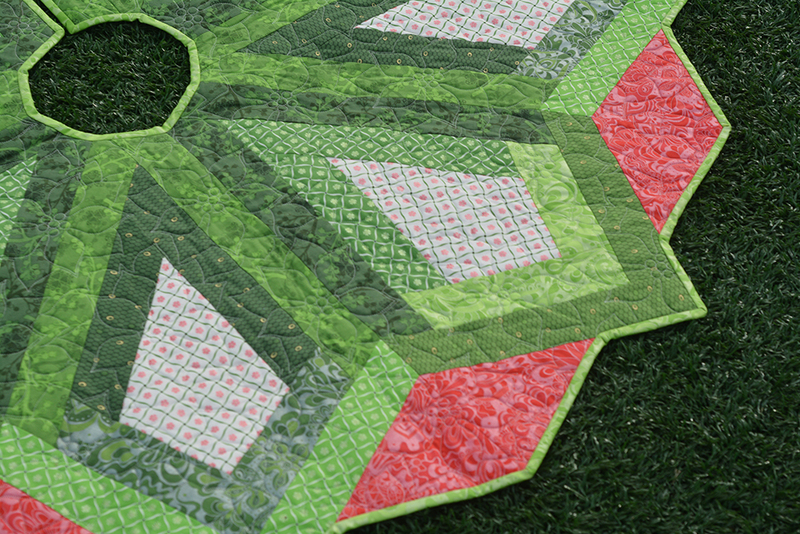 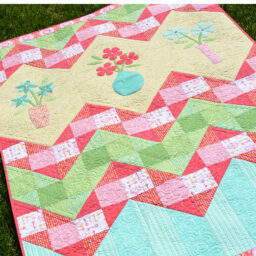 Use simple strip piecing and a modified log-cabin style block to make a vibrant tree skirt measuring 52’’ x 52’’. 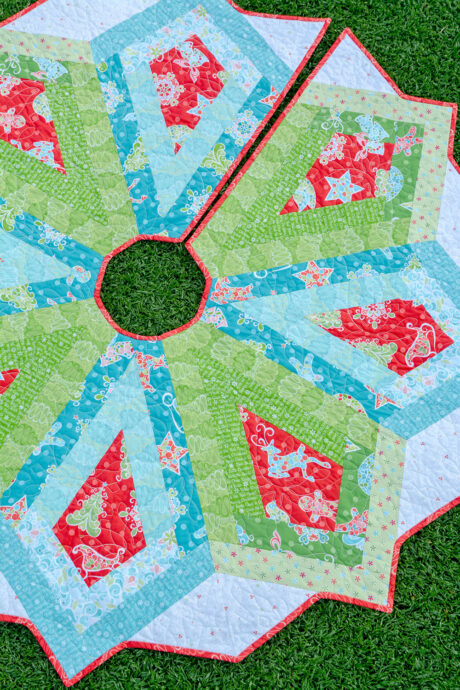 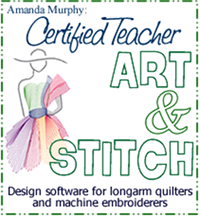 The fabrics featured are from Amanda Murphy’s Christmas Magic line for Contempo of Benartex. 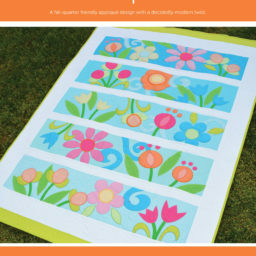 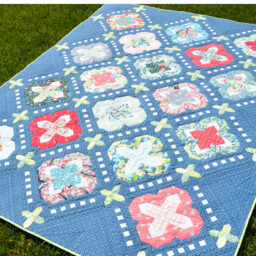 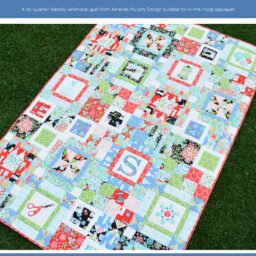 There are also pictures on this page of it sewn in Jubilee Holiday!